Chemistry; Maillard reactions in food; Maillard reaction and health. The Maillard reaction was originally studied due to its importance in foods. Lately, it has been found to play a key role in many health-related issues. It is now associated with diabetes, ageing and cancer. 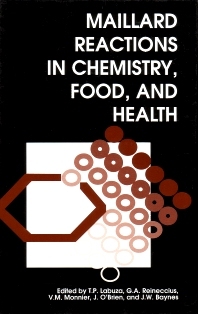 The 5th International Symposium on The Maillard Reaction was held at the University of Minnesota, USA, in August 1993. This volume of conference proceedings presents recent research and discusses aspects of the chemistry, kinetics, technology and toxicology of this reaction.